Our mediators can help to resolve any dispute no matter how complicated or bitterly fought. Mediation is a way of settling disputes without the delay, stress and expense of going to court. Our mediators can help to resolve any dispute no matter how complicated or bitterly fought. We offer a solution to resolving disputes which is informal, cost effective, and quick. We can arrange mediations in a matter of days/weeks. Whilst a judge is limited to ruling on the law our specialist mediators can help the parties arrive at more wide ranging, creative and better solutions. We take time to understand the real issues causing the dispute. As well as recognising that even in business emotions can run high we are very much alive to the practical and commercial realities. Our flexible approach can help to preserve business relationships despite the dispute. Using our skills and experience we will work tirelessly with the parties to try to find a resolution which everyone can live with. Our trained mediators are experts in the various legal areas in which they practice. They will guide the parties through the mediation process to try to make it as straightforward as they can in the hope and expectation that it will be possible to reach a compromise acceptable to everyone. We have a suite of comfortable rooms available for mediations ensuring that each party has their own space and can discuss every aspect of the dispute in complete confidence. We have particular experience however in the field of property disputes. Newspapers are full of reports of the astonishing costs which can be run up when neighbours end up in court arguing about relatively small areas of land. Property disputes are notoriously bitterly fought, lengthy and expensive if they end up going to trial. In contrast instructing us to mediate your property dispute is a cost effective, efficient and inexpensive way of resolving the matter at an early stage. We can broker a deal on terms which the court would not have had power to impose. This means that the parties can if they all want to maintain a continuing relationship which was perhaps in danger of being destroyed by the dispute. For more information on our mediation services contact us today by calling, emailing or requesting a call back from one of our specialist mediators. 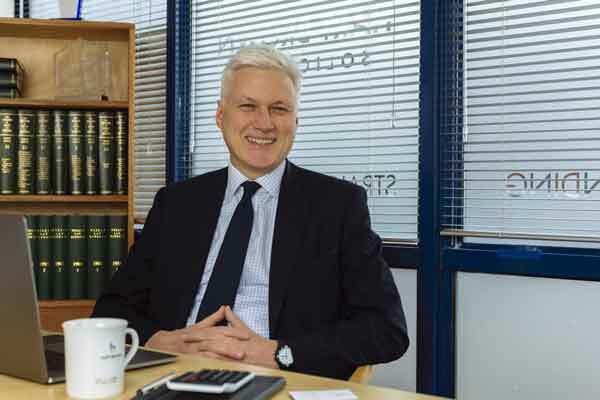 As Head of Dispute Resolution, Paul has extensive experience of dealing with a wide range of disputes focusing in particular on professional negligence, contentious trust and estate cases and Inheritance Act claims where he acts for both claimants and defendants, trustees, executors and beneficiaries. He is a member of the Professional Negligence Lawyers’ Association and the Association of Contentious Trust and Probate Specialists. He is also an ADR Group Accredited Mediator. Paul has, in the past, appeared on local radio as a “legal eagle” responding to listeners’ queries. Passing his Law Society finals with First Class Honours Paul originally trained at Hart Brown. Having spent two years sharpening up his advocacy skills at another firm Paul returned to Hart Brown as a partner. As one client put it: “I am very impressed with his thoroughness” and another: “A very professional service delivered in a very personal way”. “With Hart Brown I had complete success with my claim against my former solicitor. At all stages I had the confidence to proceed based on the clear analysis and communication of my position. I have no hesitation in recommending Hart Brown and particularly Paul Grimwood”. Simon is a barrister within the Dispute Resolution department having been called to the bar in 1987. He was a tenant in chambers in the Middle Temple for ten years where he had a broad practice in general commercial and civil litigation before increasingly specialising in property litigation. Before he joined Hart Brown in June 2012 he was in private practice in central London. 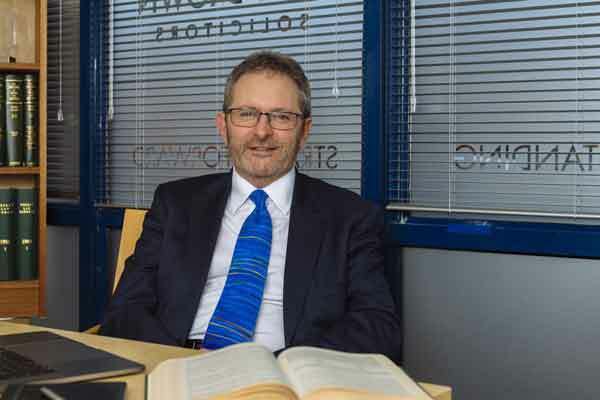 Simon has substantial expertise in all aspects of property disputes as well as property related professional negligence claims and insolvency. Simon is a trained mediator and a keen advocate of alternative dispute resolution as a way of resolving claims. He is also a member of the Property Litigation Association in the Middle Temple. We will return your email within 24 hours during our office hours. Call us today if you would like to discuss your legal issue. At one of our five offices.